“XStudio proved itself to be one of the major actors in the Test Management world. XStudio handles not only the test plan, but also the requirements, specifications and defects associated to each test. This allows producing high quality reports and graphics. Thanks to its open-source SDK (LGPL), integrating with any kind of tests, including proprietary tests, is as simple as just writing a Java class. Mixing the strength of Squish and XStudio builds one of the most powerful integration ever!”, —Eric Gavaldo, founder of XQual. 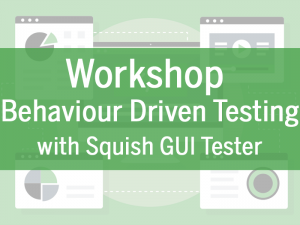 “Squish is designed to provide the most reliable and robust functional GUI and regression testing for test automation—and to be as easy as possible to integrate with third-party test management and ALM solutions. This means that our customers have the freedom to create their ideal testing environments using the tools they like best. We congratulate XQual on producing this first release of XStudio, a free test management solution that works well with Squish, and that is a very attractive tool in its own right, in particular thanks to its cross-platform support.”, —Reginald Stadlbauer, froglogic’s CEO. XQual is based in Nice, France and has been founded to promote a free, efficient, and professional-quality test management solution. XQual also offers a variety of consulting services through “XQual Services”. Read more about XQual at http://www.xqual.com.